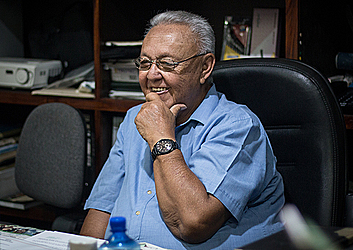 Successful business man, Leali’ie’e Rudy Ott, is not one for pomp and fanfare. But he is a hard working man with a heart to give to charity. And so it comes as no surprise that after he celebrated his 80th birthday last week, he decided to donate all the money given to him as gifts to seven different charities, making this Father’s Day one of the best ever for the recipients. 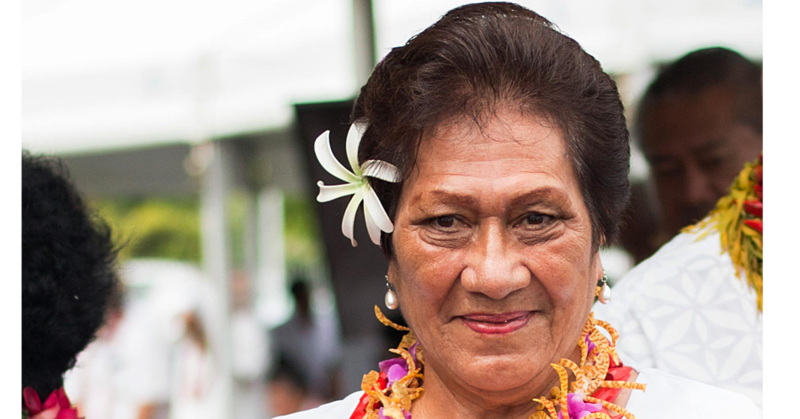 Leaali'ie'e divided the $105,000 among the Little Sisters of the Poor of the Poor at Mapuifagalele, Catholic Education Board, Carmelite Sisters, Aoga Fiamalamalama, Loto Taumafai, Senese and the Samoa Cancer Society. The presentation was short and simple. He presented the cheques in his office; a modest space filled with rows of family pictures, proud displays of his grand children’s academic achievements and a few of his grandchildren’s scattered toy trucks. These show another side of the astute business man who is also a very proud and doting grandfather. “Be humble,” he said. “That’s a teaching I take away from my faith and it’s something that motivates me to work hard and to give. “I am a very devoted Catholic and I practice my religion, it’s the reason why most of the charities receiving money today are Catholic. At Mapuifagalele, no one can do what the Sisters of the Poor do for our elderly and that’s why I give them the biggest amount.” They received $40,000. As a revered father figure in the Ott family, Leaali'ie'e says it is a big motivating factor for him to work hard so that he could look after his family for generations to come. Ask what advice he has imparted to his children and grandchildren, many of whom are successful business people today, and he says: “The only advice I have is if you want to do or achieve something, there are no shortcuts to anything. Leaali'ie'e learnt this lesson early on in his life from his very first business mentor, his mother, Lily Apollonia Achatz Lober. Recounting a funny story about how his mother both helped him get started on his business journey as well as teach him a valuable lesson that has stayed with him for life, he said: “I bought my first taxi when I was 20 years old. “It was a car I had seen at church and I fell in love with the car so I told my mum I really want that car but I don’t have the money. Two days later, she said to me that I can go pick up the car because she had arranged with George Hazelman that I could pay back the car slowly. 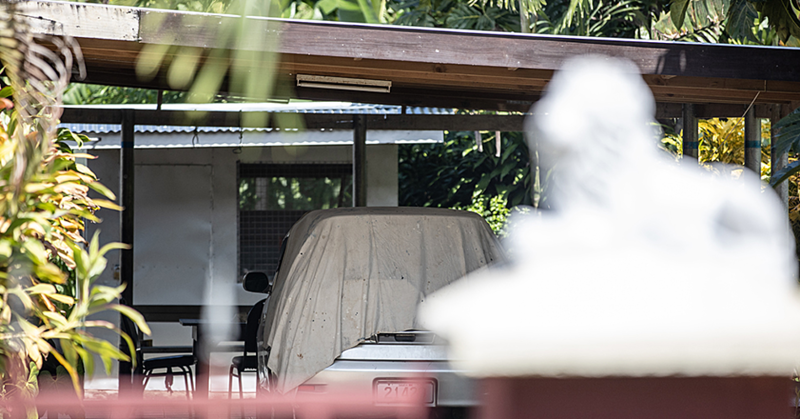 When Leaali'ie'e finished repaying the car and asked Mr. Hazelman for the receipts, he will never forget the man’s answer, after a few days of avoiding his request. “George Hazelman told me the truth and he said my mother already came to him and paid in cash for the car on day one,” he laughed. “She made an arrangement with George not to tell me because she wanted to see if I was an honest young man and pay back his financial commitment. These are lessons Leali’ie’e has passed down to his children. Daughter Marlene Westerlund said her father taught her and all of her siblings to first be humble, honest and live within your means. Growing up with a father who gave her a world-class business education that cannot be found in a university classroom, Marlene says her father taught them that the value of being street smart was just as valuable if not more important than being book smart. “I always say to my children, a lot of them are educated right now and got degrees, that one thing they don’t have is experience because I don’t have the education that you have but the experience I have is something that you can’t buy. I can probably buy a degree if I wanted to. Street smart and extraordinarily bright, Leaali'ie'e is described by his daughter as one who is not afraid to take calculated risks. It is one of the reasons why he is successful, telling the story of how he started his bus company in the 1960s with a $500 pound loan from the bank. He invested the money, following a long time passion of motor cars and trucks. 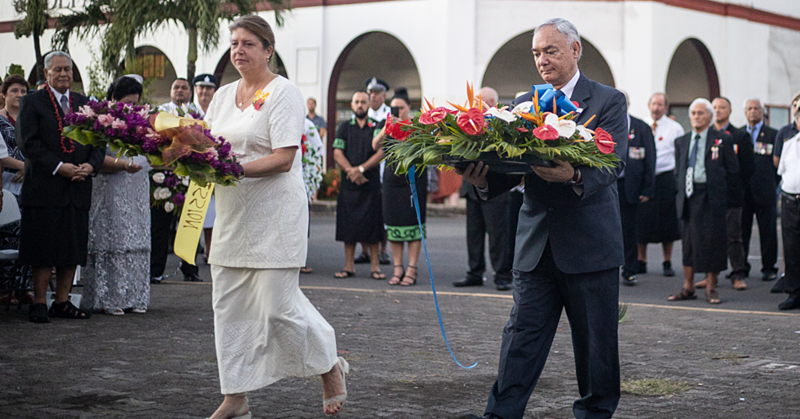 His transport company was very successful and he dominated the town area in Samoa for many years until he took another risk in the 1980s. At the time, his bus company started to slow down in business Leaali'ie'e hired a financial consultant to assess his company. He received advice that led to him establishing Ott Construction, which made him the wealthy man he is today. And the rest as they would say is history. This Fathers day, Leali'ie’e is looking forward to indulging in family time especially with his grandchildren. He is proud to report that some are showing signs of sharing his passion for trucks and cars. “I think it’s always been in me, I’ve always loved my trucks and motor cars,” he said. “I think the reason why I am successful at what I do is I have a very great passion for cars and if I didn’t have that passion I would have left the business years ago. “Even though I’m getting old I’m still interested in looking at machines and cars where ever I go. The funny this is my grandson is doing the same thing. He’s only two years old but every day he is ‘excavating’ with his toy trucks in my office. “My office is full of his trucks so when people come in to see me they must be thinking, what the heck is going on, is this a toy room?